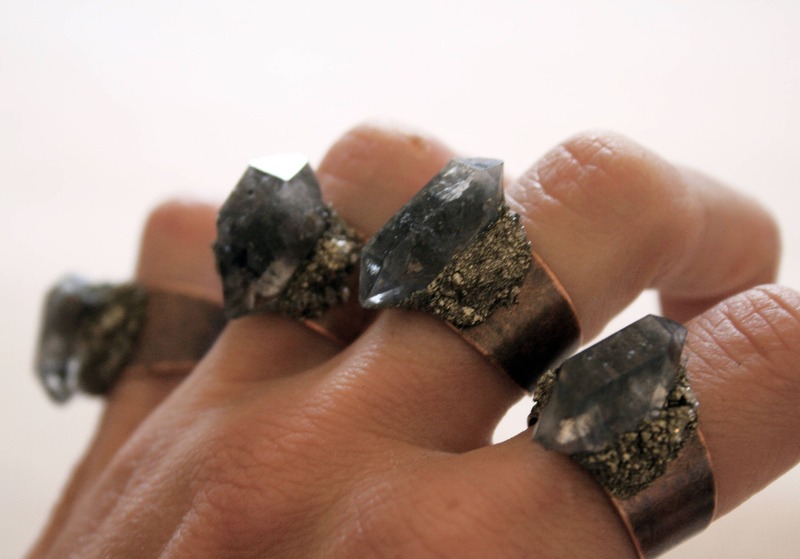 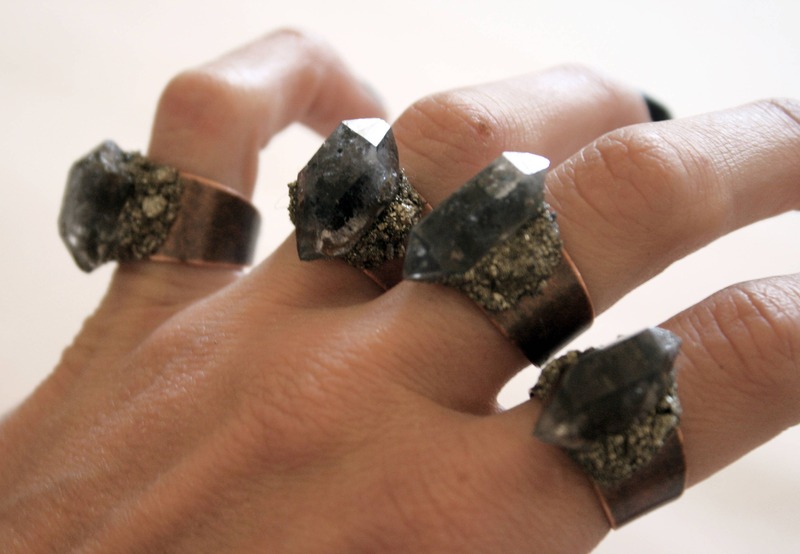 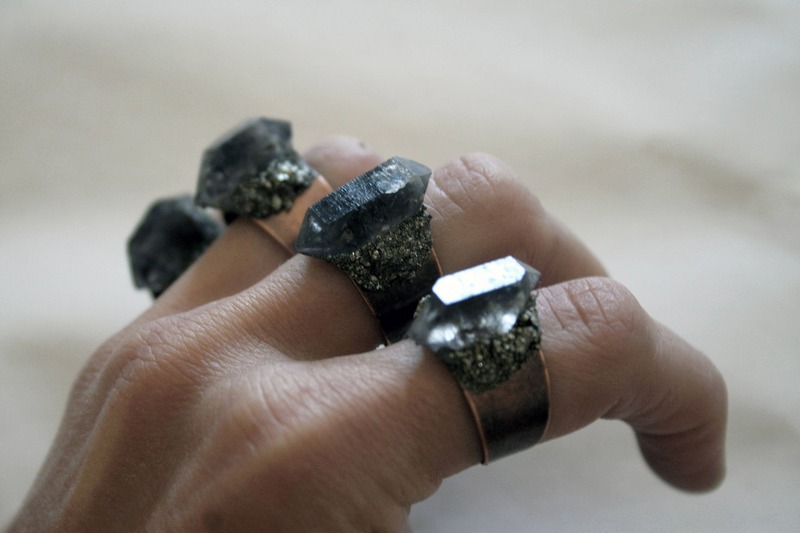 One ring, featuring a terminated tibetan smoky / dark quartz crystal, hugged by crushed pyrite, on an adjustable antique raw copper band. 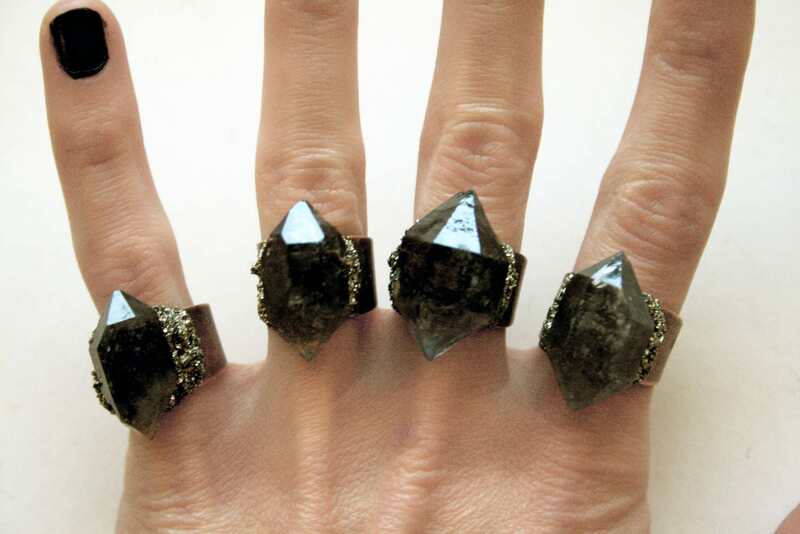 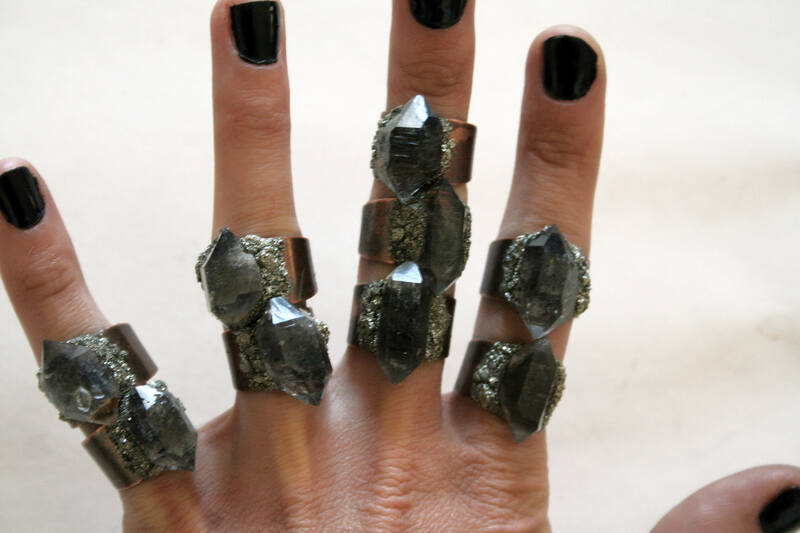 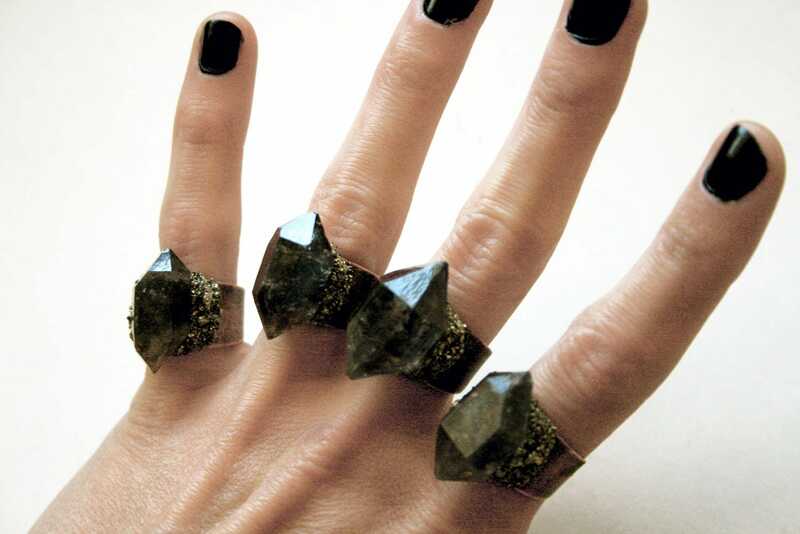 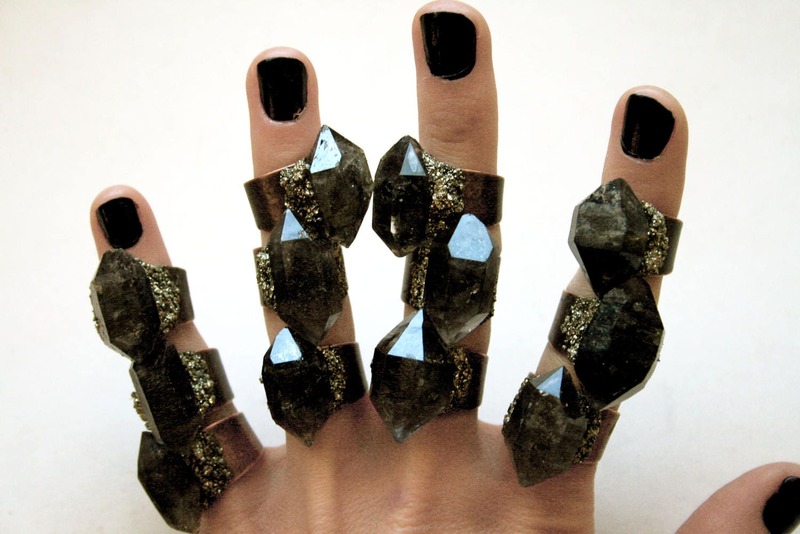 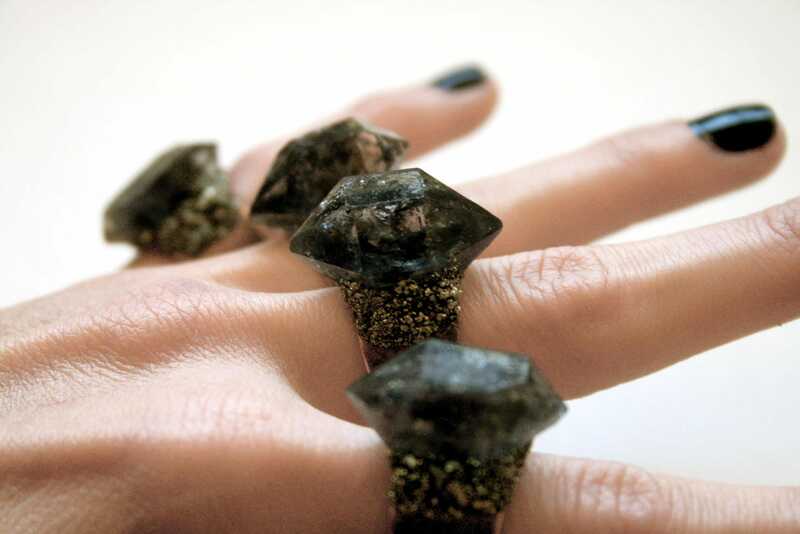 This listing is for rings with "small" sized crystals as pictured. 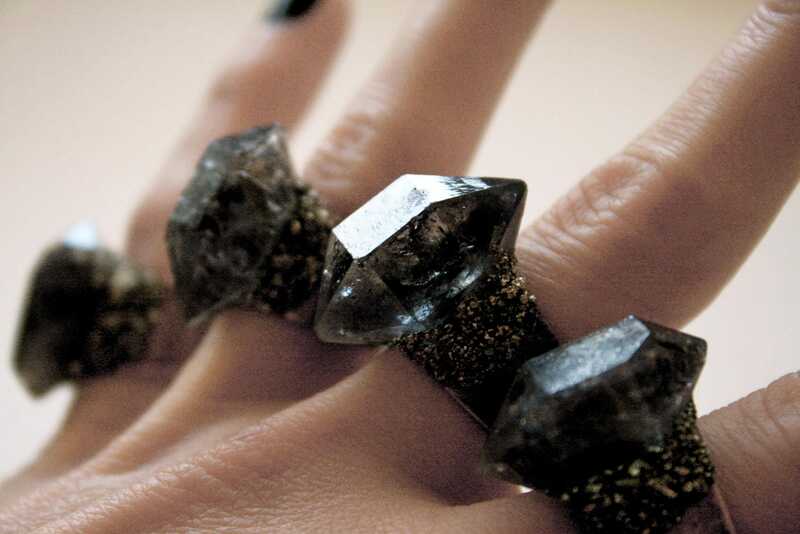 Please browse our other listings for the same style rings with smaller or larger crystals.